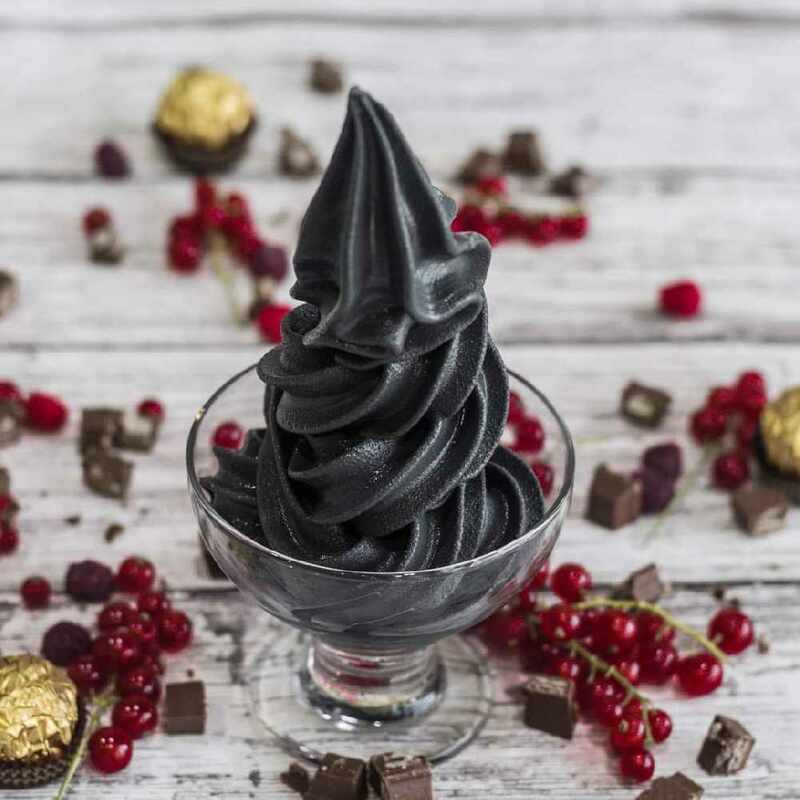 The black food trend started to be a thing late last year and since the Black Panther movie earlier this year, and Disney serving Black Panther ice cream at its parks, the trend has grown and grown. 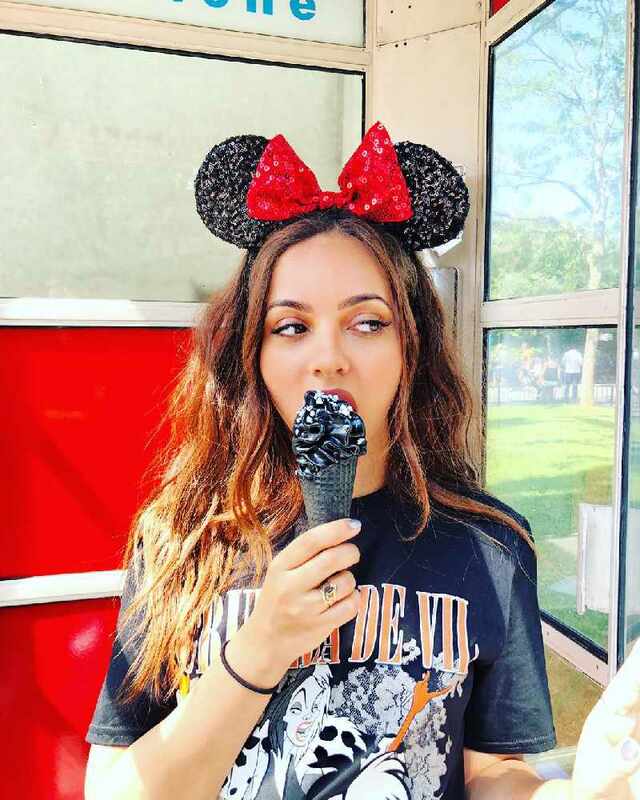 Even Jade Thirlwall from Little Mix has got involved recently when she visited Disney! 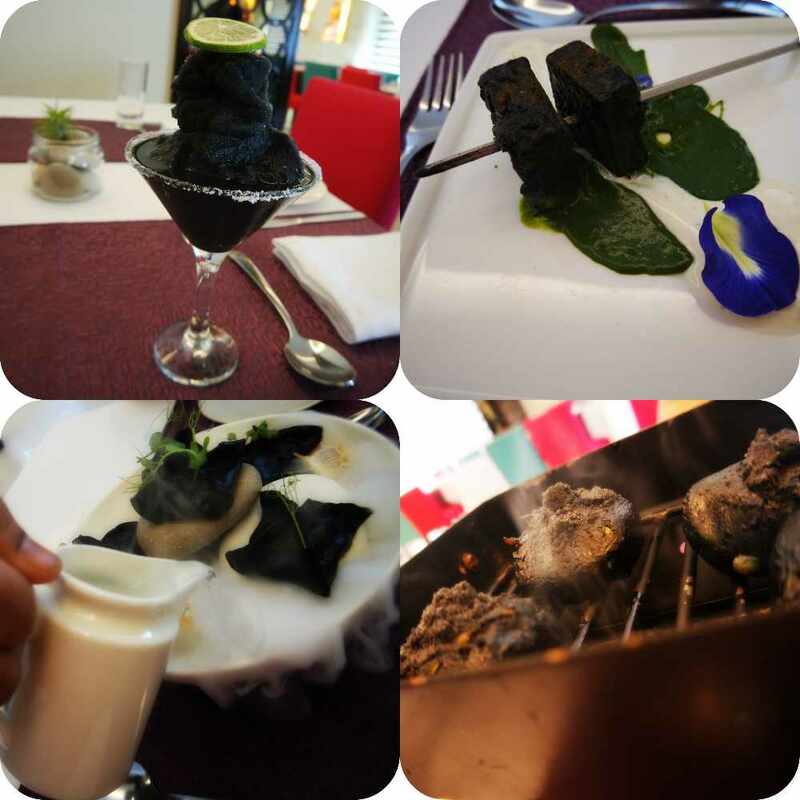 The "Black Menu" at Jashn is guaranteed to sweep you off your feet. We loved the presentation of each of the dishes and it was clear that the chef had spent both time and effort creating this fun and tasty menu. Our first piece of advice to you is to definitely leave plenty of room for dessert! The desserts were super yummy and the "River Stones" were presented in a really fun and creative way. Our faves from the menu had to be the "Black Margarita" - the sweet and sour taste of this drink was really refreshing and we also loved the "Goth Paneer Tikka". The sweet coconut based "Chicken Stew" was a great comfort food that warmed you right through! 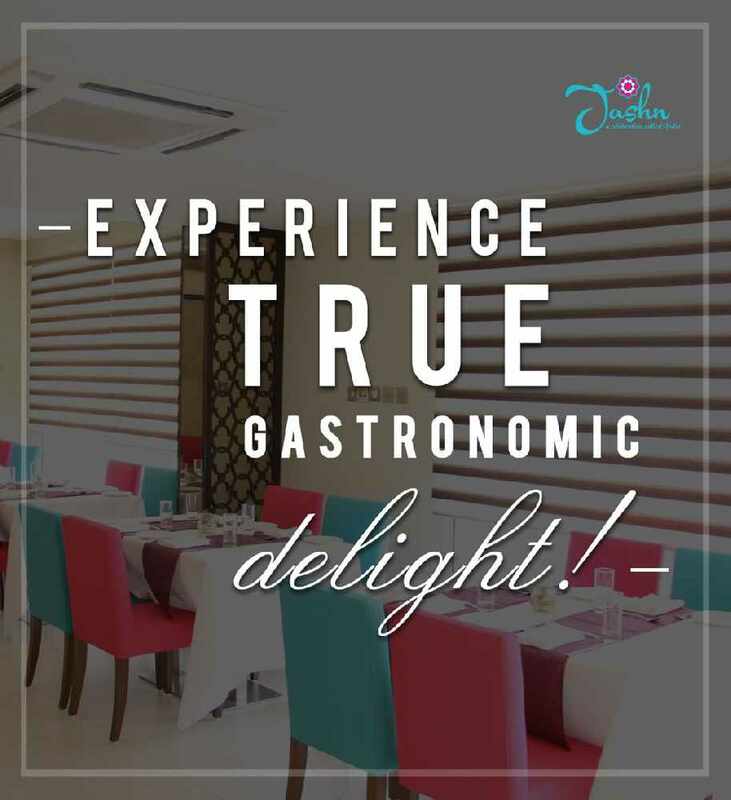 Also, something that we found really helpful was the fact that Jashn could cater for food allergies as a person on our table had a dairy allergy, the staff were really helpful in advising and helping us to select items from the menu that would be suitable. 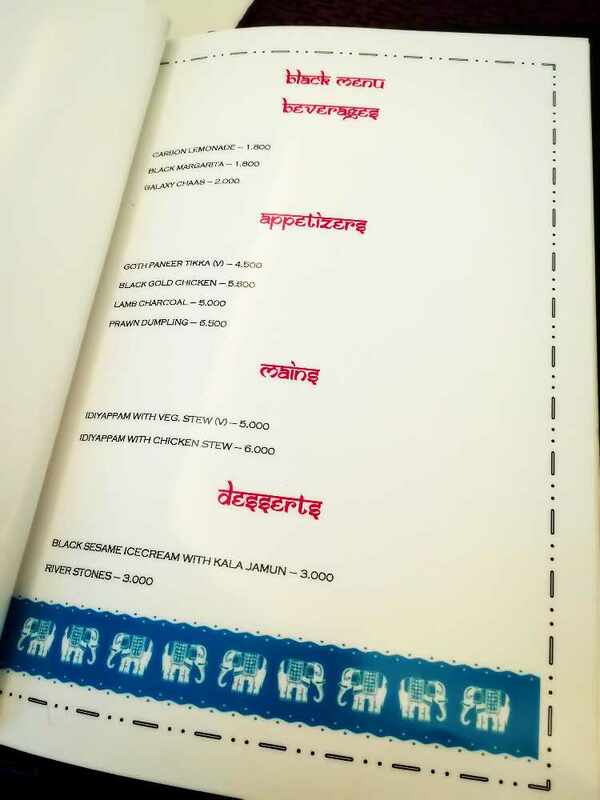 It's great to finally see more dairy-free milk options on coffee shop menus across the Sultanate. Activated Charcoal has long been loved for its health benefits and is said to help settle upset stomachs and help detox the body. 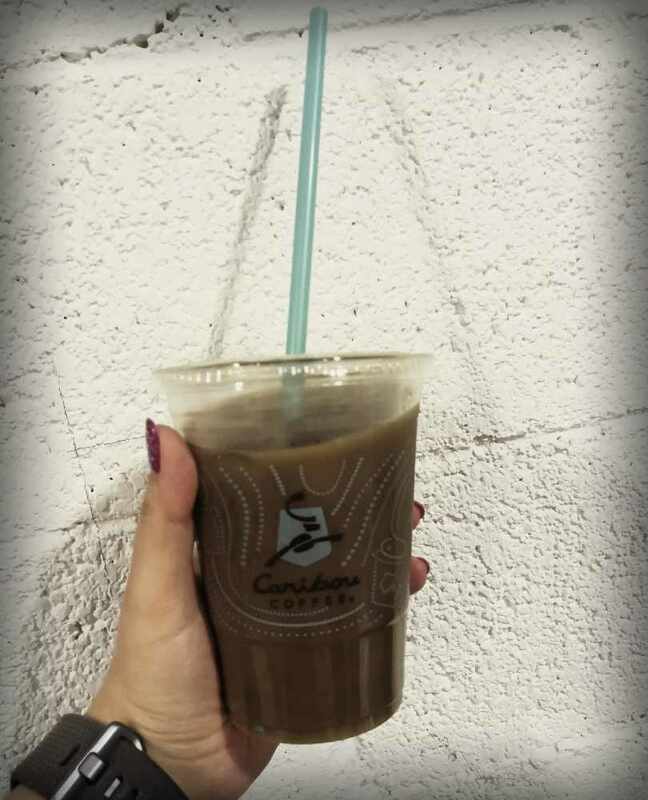 We went along to the Oman Avenues Mall store to try out the "Activated Charcoal Almond Milk Iced Latte". We expected to really taste the charcoal however we were pleasantly surprised as you couldn't really tell that there was charcoal in there. The almond milk is really nice and refreshing and made a change to a full-fat latte. 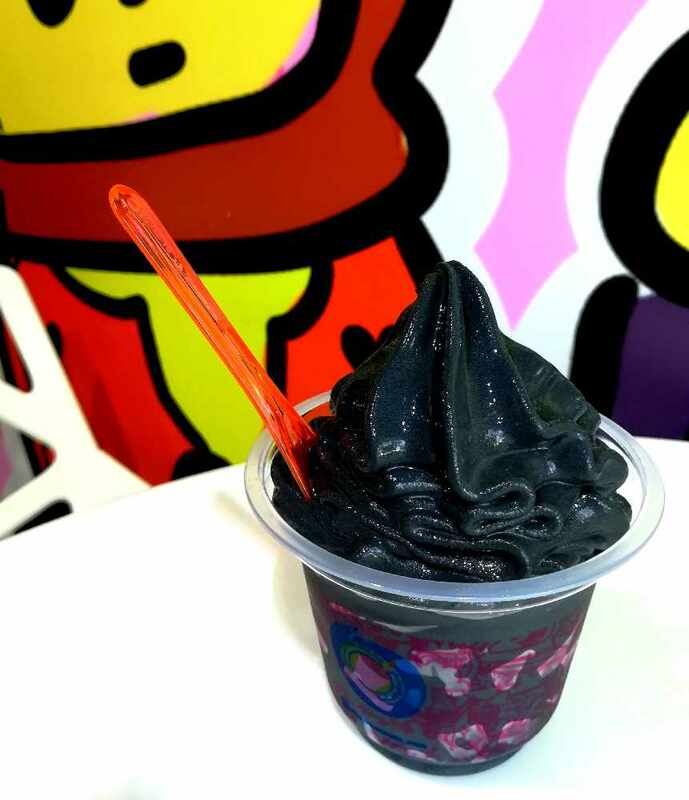 Icecream Mama has had Charcoal ice cream in its stores for a little while now. We went along to have a taste of this trending ice cream for ourselves. At 37 degrees outside the quick cool down in an Ice cream Mama store was most welcomed. 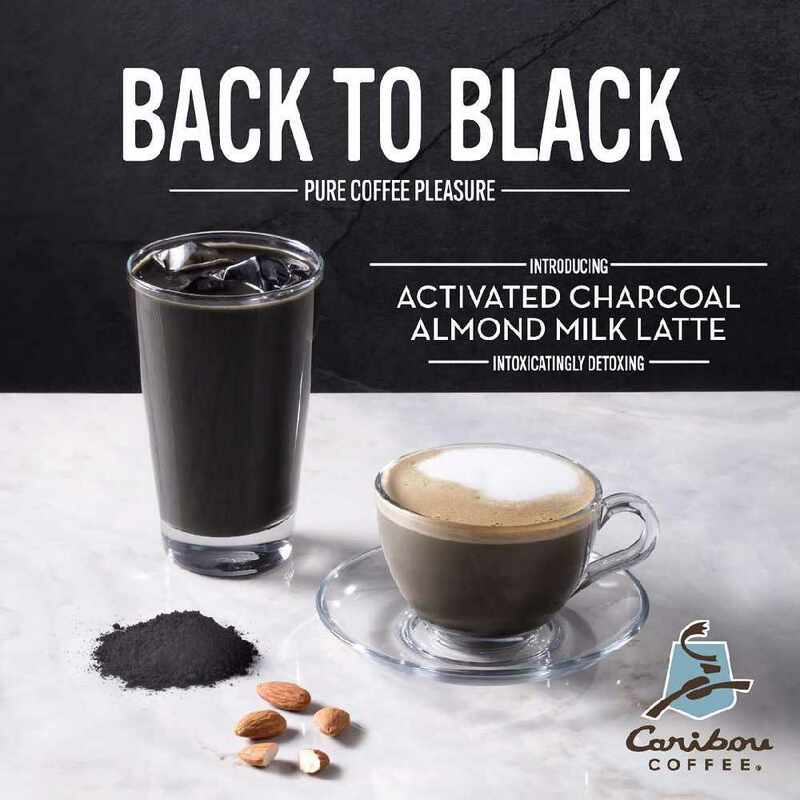 This ice cream was really delish, it was super creamy and sweet and as with the Caribou Coffee, you couldn't really tell that there was charcoal in there. We like the idea of getting the said health benefits of consuming charcoal but not being able to taste it that's kinda cool!